For all those who do not know, last week I attended the wearable tech conference in NYC. It was a blast. Events like these really start gearing you up for what the future is going to be like and I'm quite excited. In order to provide you the best and most relevant information I have divided this post into two sections: The Gist and The Goods. Ok, so you want a snapshot of what the event was about, the main points, the areas for expansion - here it is. The main points. The recap. The 411. The Skinny. The Reader's Digest Version. Skim and learn about this amazing industry. Body as Platform - This was a very recurrent theme at the convention. In the future, technology will no longer be about the external devices but devices that are in tune with your body. This means that controls become second nature to you - no manual needed. Your own body will literally be the platform from which you will interact with the digital world. Actionable Data - Hello, your heart rate is 160 over 80. Well, that's great - I think? I'm not really an MD. One problem with these intimate devices is the overwhelming amount of new information they could provide users. They can tell you when you fell asleep, how long you slept, how well you slept, when you woke up, how long you worked out, how well you worked out, your heart rate, your movements, taste, touch, smell, hearing - enough information to overload any user. The problem becomes not getting information but delivering relevant, actionable data. So your heart rate is 160 over 80. HOWEVER, that is a 4% increase in efficiency based on the same amount of energy exerted yesterday, to get even healthier you should do X, Y and Z - now that's actionable. Glance-able Information - Information you don't even need to pull out of your pocket. Just glance somewhere on your body and get immediate feedback. This makes new wearable tech products very sticky, as information becomes even more readily available. The Turn Around Test - Wearable tech needs to pass this to be adopted in the mass market. If you were on your way to work, would you turn around to get the wearable tech product you forgot at home? You would for your phone, what about a smart watch? Abstraction. Langauge is removed. We are now communicating in the language of your body. Instead of telling you things, we can show you things. Look at the goods below to get the idea. Beauty - We are going to be wearing these products so they have to have utility and be expressive. They need to be well thought out in order to provide utility and meaning to the user. However designers cannot forget their product's expressive nature. Anything humans wear become a statement of self, so design with this in mind. Wanna hold that yoga position better? Here is Eletricfoxy's MOVE - it monitors your body and tells you which parts are out of alignment, vibrating in that area to tell you to fix it. Keep your eyes closed and focus on breathing. Are you hard of hearing and relying on sight? These Himri glasses feature a small black strip that vibrates according to peripheral noise - now you can actually see the noise that you can't see just outside of your field of vision. Tired of using your iPhone's GPS to get places and bumping into things? These Dominic Wilcox shoes have built in GPS and LED lights. Program your destination, look at your feet and follow the direction of the LEDs and click your heels three times. Want to take that great photo with you? Artefact's MEME is a camera and jewelry statement in one. 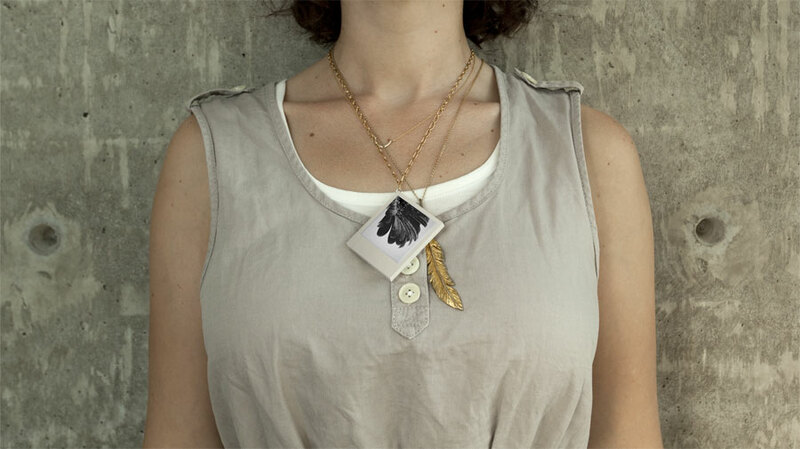 Using the recognizable form of polaroid film, you can snap a picture and wear it immediately as jewelry. Change it with your mood. How focused are you? The Melon Headband tracks how well and how long you concentrate. Based on this it can predict your mood and, for example, suggest appropriate music. Additionally, there is also (scary) potential to link this biometic data right to your Facebook account. Melon says you were very happy and concentrated on April 5th - what were you up to that day - maybe you can replicate it? Look at your life based on what makes you happy. Hate wearing a helmet? This garment looks like a scarf but when you fall off your bike it automatically deploys a built in cushion to protect your head from the fall. Confused about how to work out properly? Pulse tells you when you are in your target zone by glowing, so you know how to work out perfectly with just a glance. Hydration is key for any athlete. The Mc10 hydration monitor goes right on the body and provides instant information as to your body's H20 needs - no more guessing. 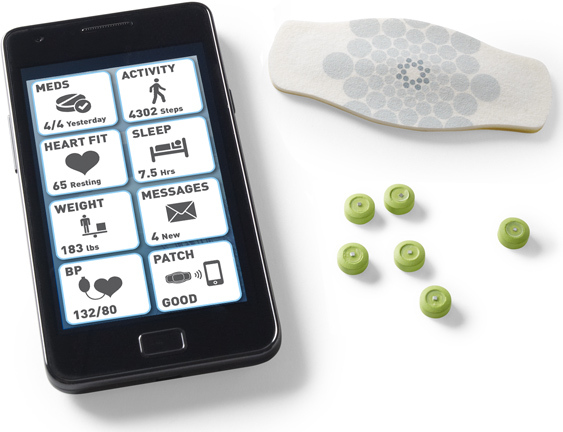 The Proteus sensor unit is digestible and provides very exact and actionable information as to your internal health. Have bad posture? 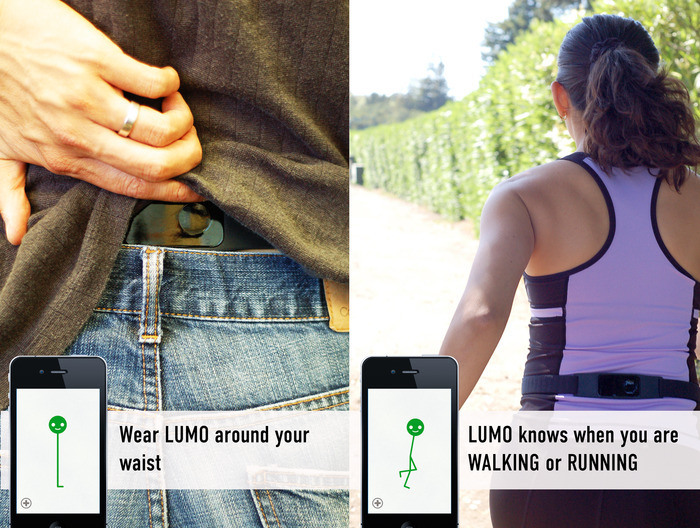 Lumo Back attaches around your waist and reminds you to keep good posture with small vibrations. Better postures leads to better overall health. 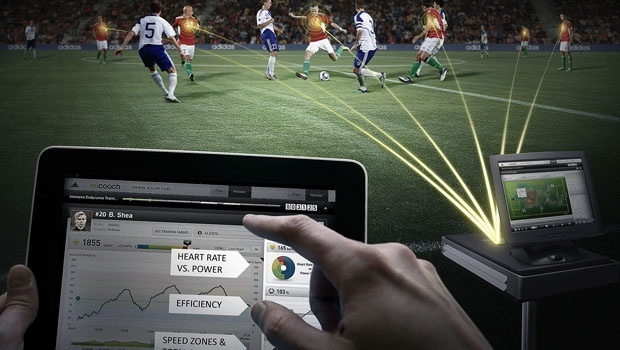 MiCoach from Adidas is being deployed for entire teams. Each player on the field will wear an individual unit and all units on the field aggregate to a central server. This system can display real time results of your team's efficiency, health, performance and stamina. Pretty cool. 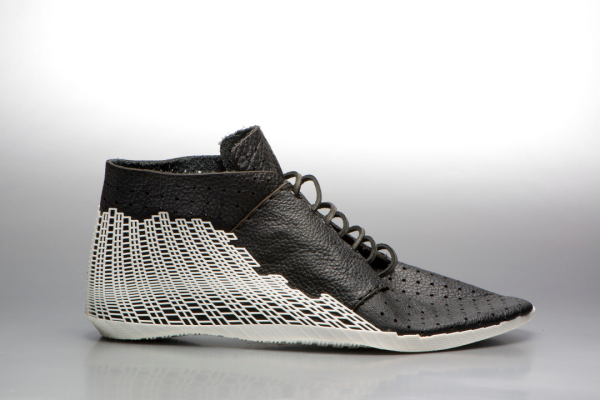 TOP - Earl Steward designed 3D printable shoes that are made to fit your exact foot. Now that's customization. RIGHT - Cutecircuit makes clothes with optical fiber woven into the garment itself. 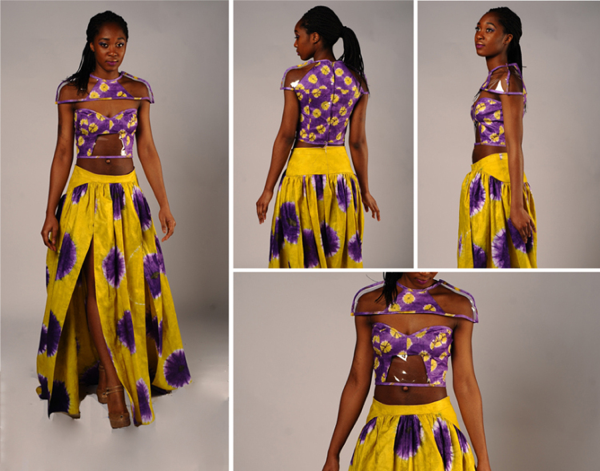 Designer Njehringe produces a line with insecticide woven right into the very fabric of the garments. Just wear these and you are guaranteed to be bug free, reducing the spread of disease. 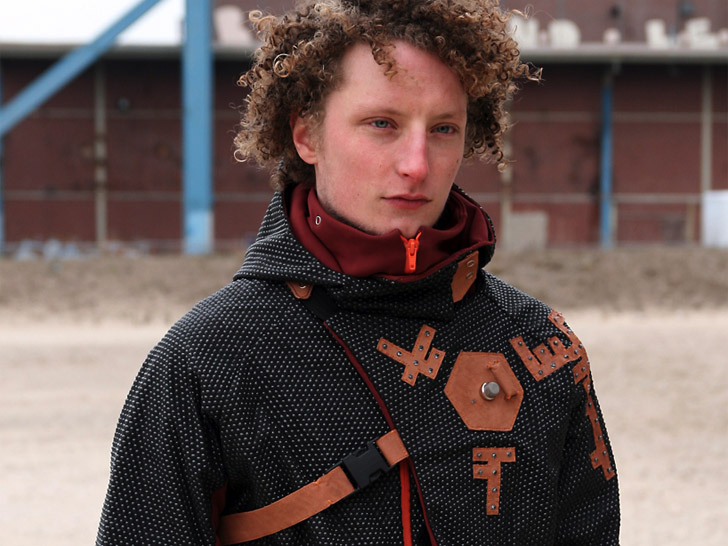 The Aegis Parka by Nieuwe Heren actually tests the air for pollution and lets you know if levels are too high. Once you know you can pull out the parka's built in mask. This last video is controversial for obvious reasons, but it demonstrates the industry's potential perfectly. This week I will be heading to NYC to go to the Wearable Tech Convention. What exactly is wearable tech you ask? Great question - the more I look into it, the more it seems to encompass. From advances in fabric technology, to special watches and google glasses - wearable tech includes a lot more than meets the eye. Join me here this Wednesday and Thursday to get an official recap of events and products from the up-and-comming tech fashion trends. Who knows what I'll find - stay tuned for more!! !